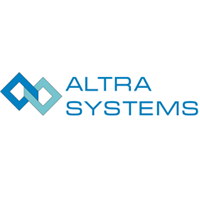 Altra developed and sells the patented Simple Batch manufacturing execution software system. For manufacturers running sequential production processes, the-to-use Simple Batch dramatically simplifies the creation and maintenance of production recipes and therefore reduces time, errors and the need for training of operating personnel. Primary manufacturing markets served are paints & chemicals, food & beverage, automotive, tires & rubber, water & waste water, oil & gas. Advanced Simulation Research (ASRI) AquaSolve Ventures, LLC.